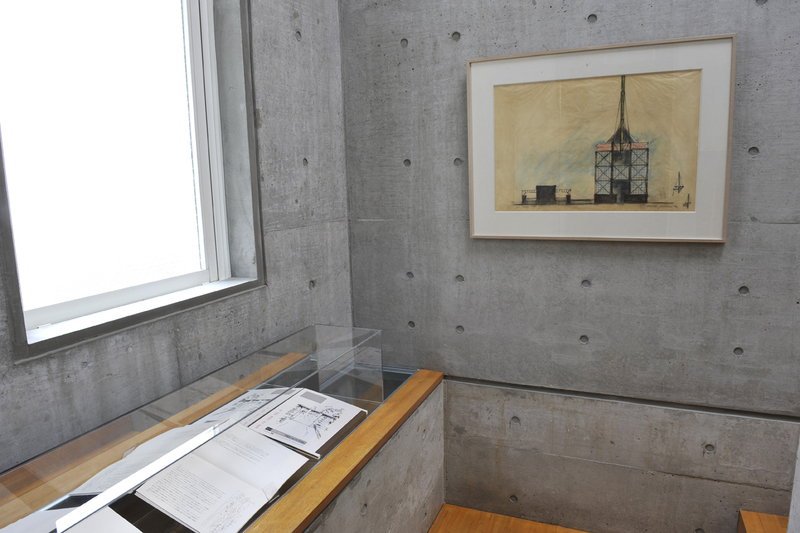 In this exhibition, we are focusing on ISOZAKI's "Tsukuba Center Building" (1983), the representative work of his post modern movement and exhibiting print works related to it along with furnitures designed by Shiro KURAMATA, which were used in former Tsukuba Daiichi Hotel. 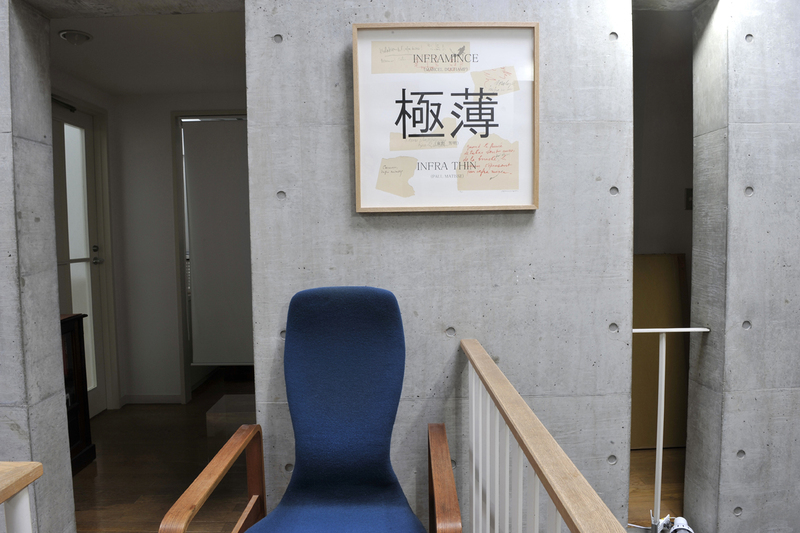 There are also acrylic objets by KURAMATA and chairs designed by ISOZAKI. 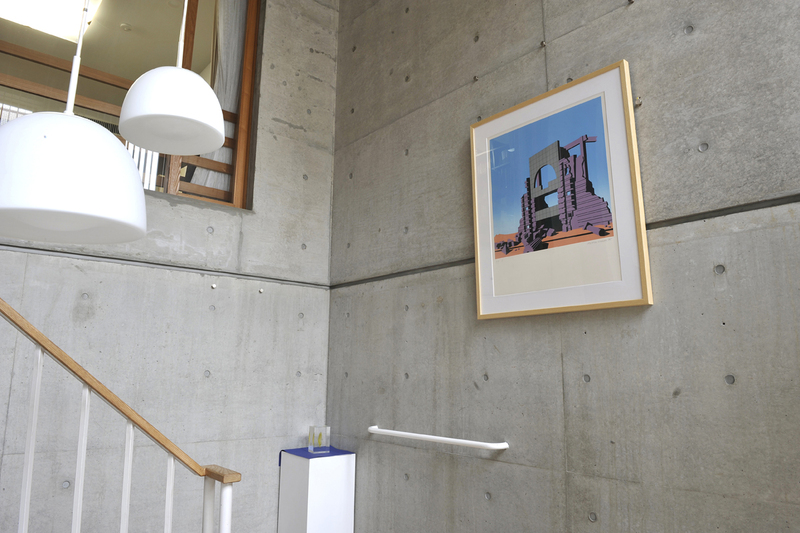 "Tsukuba Center Building" was designed and built by Arata ISOZAKI in 1983 with Tsukuba Daiichi Hotel in it, where Shiro KURAMATA designed guest room interiors. However, those original furnitures used in these guest rooms were struck with fate. After the corruption of the bubble economy in 1990s, management organization of the hotel bankrupted in 2005 and the management of the hotel was passed onto Hotel Okura Group. At this point, a major rennovation has taken place and those precious Shiro KURAMATA design interiors were lost. "Writing desk" and "Mirrors" exhibitied in this exhibition are very rare pieces which survived above incident. Architect. Born in Oita prefecture in 1931. Graduated from the University of Tokyo in 1954. 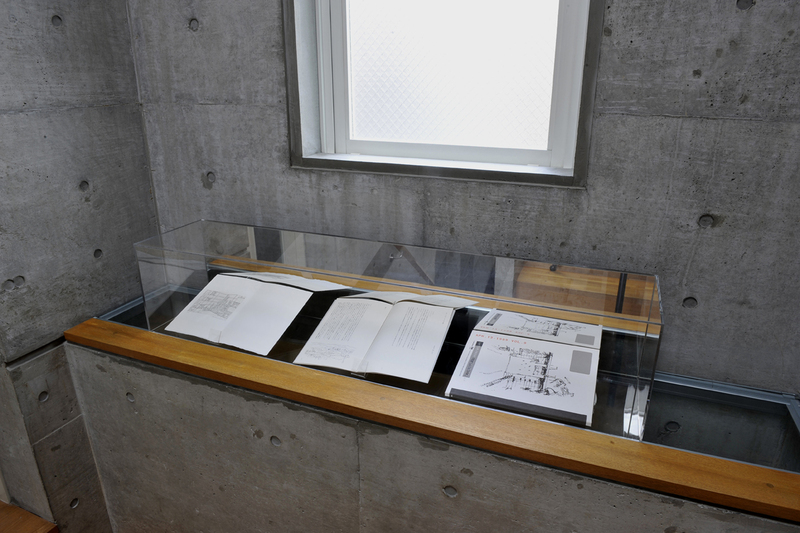 In 1961 completed Doctorate course in Architecture at the University of Tokyo. In 1963 established Isozaki Arata & Associates. Lectured at the University of Tokyo, UCLA, Harvard University and Columbia University as a visiting professor and also acted as a judge in main international competitions. Takes part in symposiums, lectures, architectural exhibitions, fine art exhibitions and private exhibitions all around the world. As well as being an architect, Arata Isozaki works in many fields such as philosophy, art, design, cinematography, theatre and others. 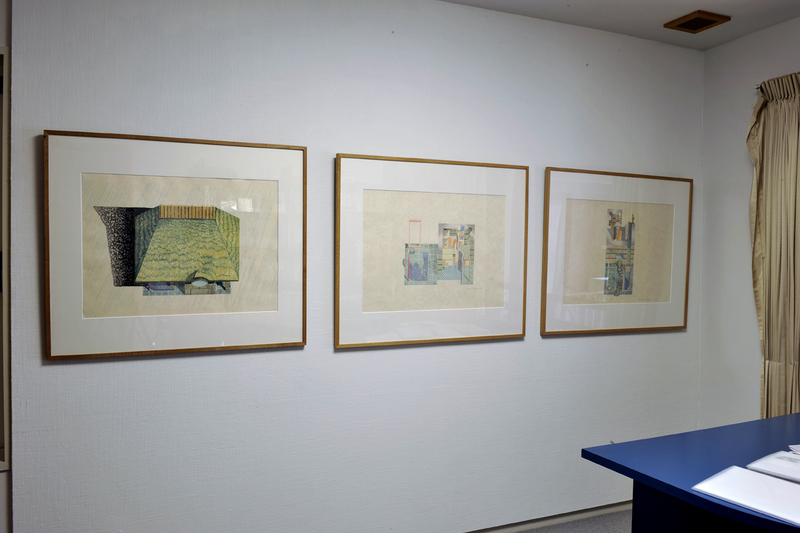 He is enthusiastic about expressing his architectural concepts on paper. Since 1977 he has made over 200 print works Toki no Wasuremono is publishing the series called "120 Invisible Cities" including his original prints and his essays. Please contact for further infomation. In the late 1960s Kuramata realized the possibilities of modern science and technology to become a global designer known for his innovative works. 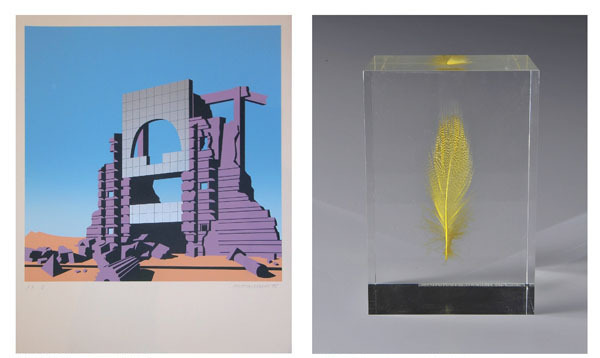 These include many pieces which use a mix of diverse mediums including acrylic, glass, aluminum, and steel mesh. He was born in Tokyo in 1934. He attended the Tokyo Metropolitan Kogei High School and began work at Teikoku Kuzai in 1953. From 1953 to 1956 he studied at Kuwasawa Design Research Center, Department of Living Design, and in 1957 mobed to Mie Prefecture to work in advertising, creating window displays. 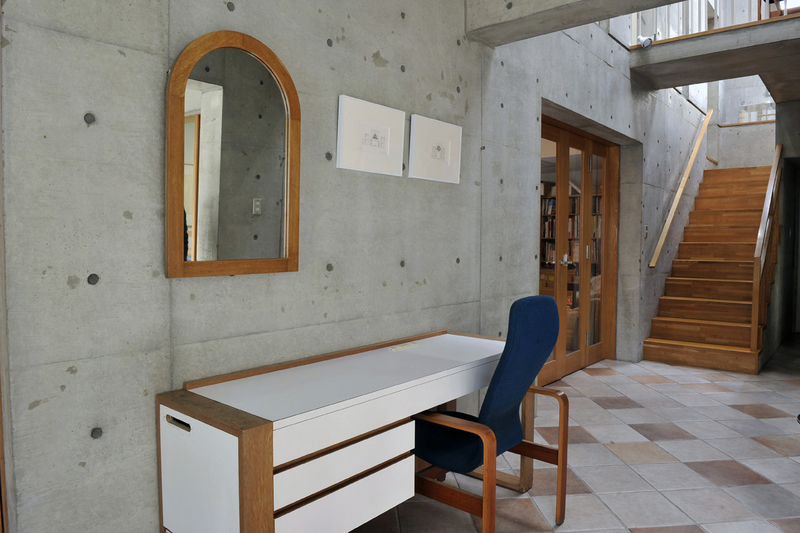 In 1956 he began his own office, Kuramata Design. In 1967 he gained attention after collaborating with Tadanori Yokoo on an interior design project. 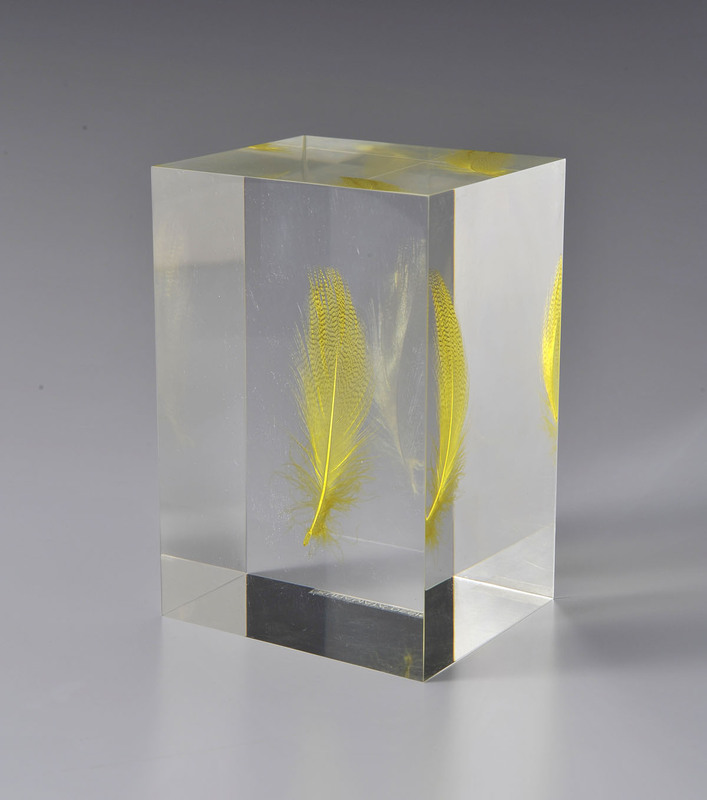 From around this time, he started to use the acrylic that he would favor for the rest of his life, creating transparent, weightless works emulating that cloating space of everyday life. 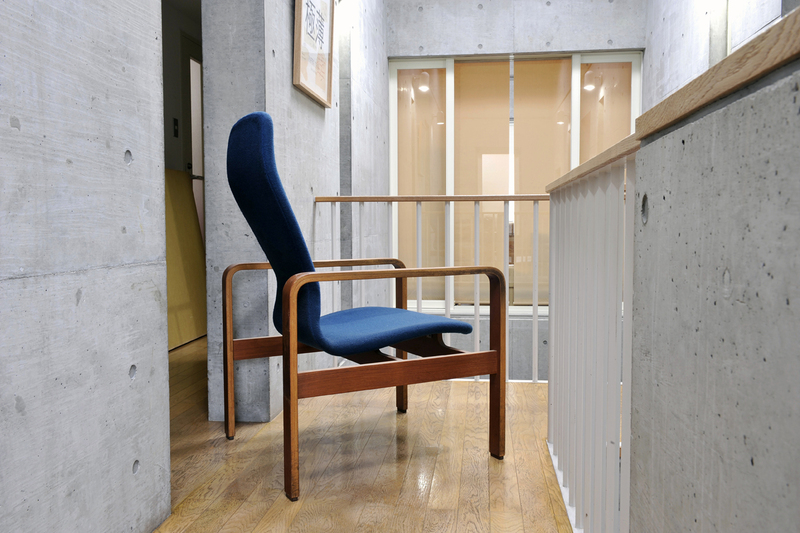 Kuramata gained international recognition with his 1970 series "Furniture in Irregular Forms". He was awarded the Mainichi Design Prize in 1972. 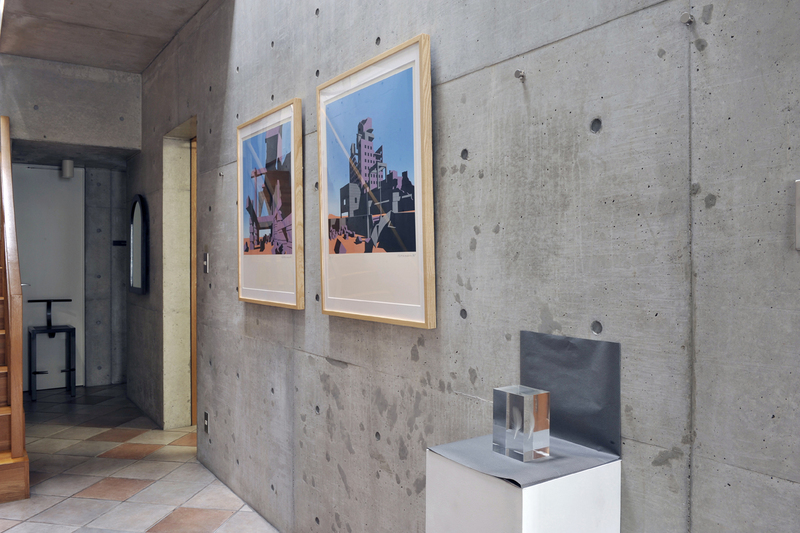 In 1981 he participated in an exhibition in Memphis set up by Ettore Sottssas Jr., showing works as part of a new Italian design movement alongside Arata Isozaki and Michael Graves. He was awarded the French Order of Culture in 1990. He suffered from heart failure in 1991 and passed away at the age of 56.